You know something’s a winner, don’t you, when you’ve adapted from our national treasure, Dame Alison Holst. As you’ll all know, I have a bit of a thing for old-school cook books and recipes. 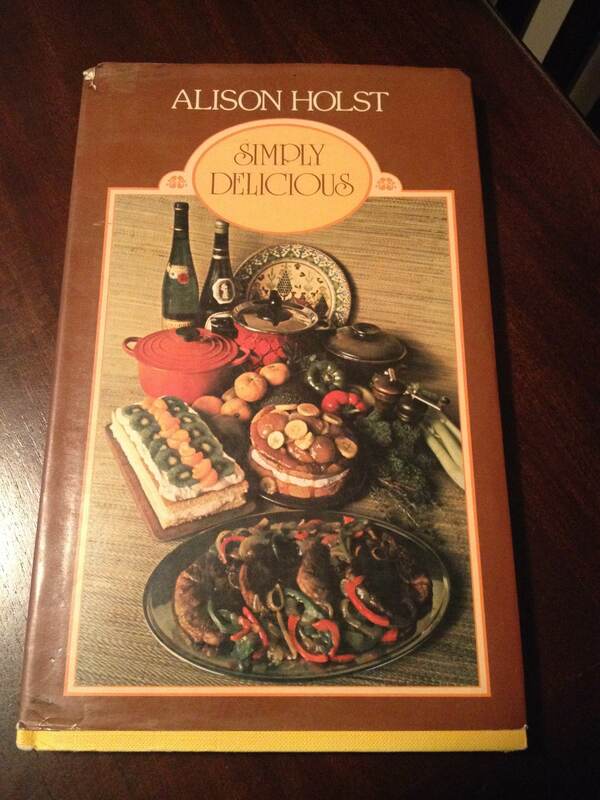 So you can imagine I could not leave Alison Holst’s Simply Delicious cookbook, circa 1975, behind when I found it for three dollars at a Star Boating Club book sale. I don’t mean to imply, of course, that you need or want to be adapting Alison’s recipes. It’s just that the original of this one, Lemon Cream Cake, calls for a cup of cream. I like my cholesterol as much as anyone, but these days you’re just much more likely to have yoghurt in the fridge. It’s a great cake for this time of year, when although the dark of winter is lifting a bit, you still want something moreish and warming. And, just to be helpful, lemons happen to be in season, so the rest is common sense. I whipped this up recently to go with a cup of tea following a family roast lunch; it’s so easy that you can get it in and out of the oven before you need to worry about getting any mains cooked. 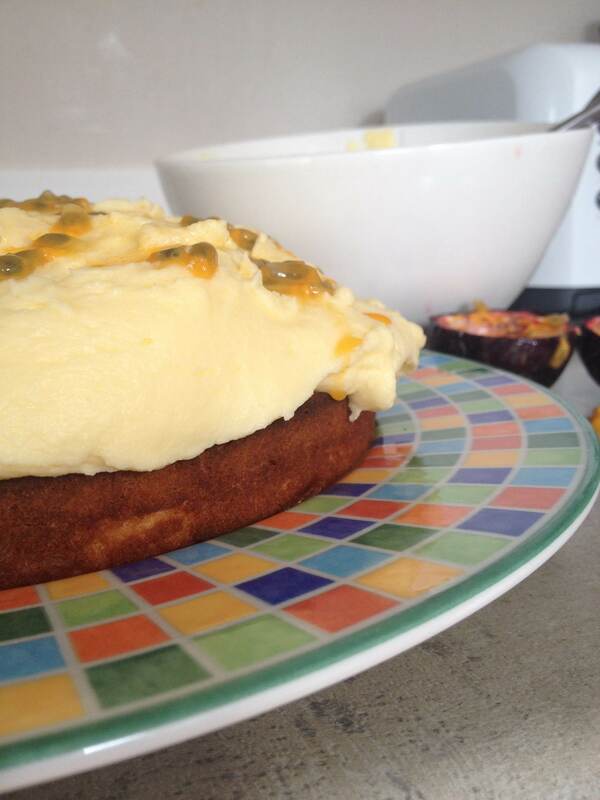 I generously slathered this one with lemon icing and passionfruit pulp, but it also works very pleasingly with a little stewed fruit. It’s another of my lazy all-in-one bowl baking jobs, and perhaps this is what I like about it most of all. Pre-heat the oven to 180 degrees celsius. Grease a 23cm round cake tin and line the bottom. Put the eggs, sugar and yoghurt into a medium-sized bowl. Beat them together until thick and creamy. Sprinkle the lemon rind over the top and fold in the self-raising flour. Bake for 45 minutes or until the centre springs back when pressed. When it is cold, ice it if you fancy. So you can understand the appeal of a hearty, warming soup that is quick to prepare and does not involve leaving the house to fetch fancy-pants ingredients. If you have tinned tomatoes and tinned beans, you are halfway there, my friends. Don’t be put off by what looks like a long ingredients list…I promise most of this will already be in your cupboard. I enjoy the cayenne and turmeric in this as I find it gives it a nice, comforting heat without assaulting one’s delicate winter-tinged senses. However the brave amongst you may wish to add a little more. Heat the olive oil in a large saucepan over medium heat. Add the garlic, celery and carrot and cook until soft, about 5 minutes. Add all the spices and stir to combine with the oil. Add the tomatoes, tomato past, stock or water and sugar. Bring to the boil and then simmer for 20 minutes. Drain and rinse the beans and add half to the pot, reserving the other half. Simmer the soup another 5 minutes then remove from the heat and blend until as smooth as suits your fancy, if you wish to blend at all (I like a smooth soup, but appreciate that preferences vary widely). Add the remaining half tin of beans and season as fit, including the chopped fresh coriander if you have it to hand. Return soup to the heat and bring to a simmer again. 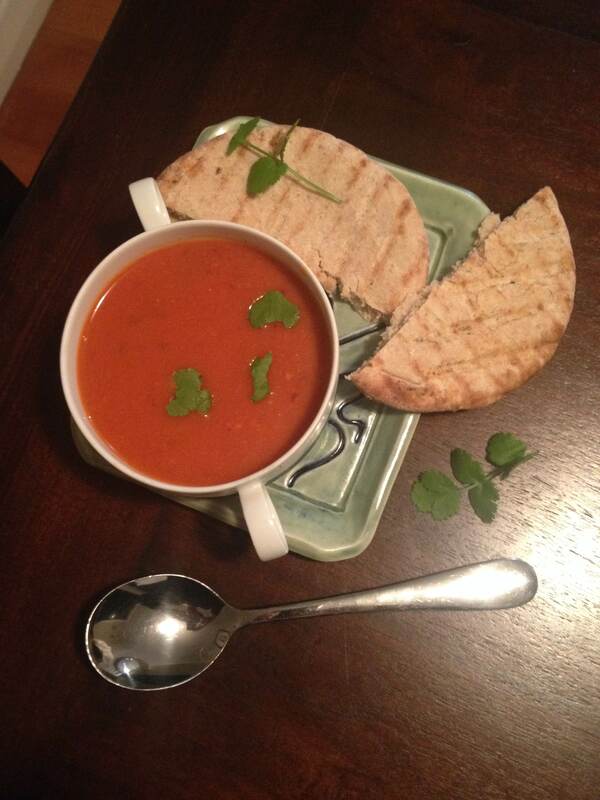 It’s lovely served with a pita or tortilla heated in a fry pan with a little olive oil. I also recommend it with a dollop of plain yoghurt or a generous sprinkle of my beloved tasty cheese. This soup freezes well and keeps well for a good 5 days. Stay warm, readers!